The New Forest has a whole host of places to dine or refresh yourself as well as events and activities for the whole family. Here is a summary of some of our recommended friends and favourite things to see and do in the New Forest area. A Day Out With The Kids! It’s easy to use for places to visit across the south and the whole UK. 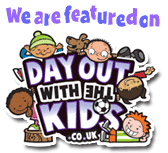 Searchable by age group, County, Town, postcode and indoor or outdoor attraction. Situated in the most beautiful central new forest location and on our most coveted cycle route, the viewing platform will allow you to see the deer fed, close up in their natural setting. Come and visit our classic and unspoilt New Forest village of Burley. Traditional forest pubs, tea rooms, cafes and restaurants and a wealth of activities for everyone including cycling, horse riding, angling, cider making demonstrations, deer safari, walking and shopping. FREE PARKING just above the village, on the opposite site of the road to Burley School. We're always getting asked.....so here goes. Two choices, there is a cash point in the Queens Head pub right behind the cycle centre here in Burley. Alternatively, Burley Post Office (right opposite our Cycle Centre) also has a cash withdrawal facility. Just 15 minutes from our Cycle Centre in Burley by car, is delightful Mudeford Quay, home of the Mudeford Ferry. The Quay is perenially popular with our Cycle Hire Customers, after they have visited the New Forest. We will also operate at Weekends in the Winter months provided there is a favourable forecast, the sun is shining and the wind strength is reasonable. Beautifully located in the tranquil area of Linwood, this traditional pub offers real forest fare, with lovely outdoor areas and sought after accommodation. One of the area’s most interesting attractions, close to the villages of Bransgore and Ringwood. Chock full of stunning birds of prey, reptiles and snakes. Regular displays and demonstrations will give you a real insight into these fascinating animals. Has it’s own cafe. Situated slap, bang in the middle of Burley Village, a proper pub with a friendly welcome and great food and drink and a roaring fire in the colder months. Interesting smuggling history. Good accommodation too. Oh and don’t forget the Cash Point! Imposing, classic forest pub, right opposite our Hire Centre, which is great news for us! Terrific food and drink, cosy corners and great accommodation. There is something for everyone in The New Forest, whether you’re looking to relax, explore or just enjoy, The New Forest is the ideal location. An archetypal, welcoming New Forest Inn in the tiny village of Emery Down. Great food (including one of the best sunday roasts in the area!) and drink plus a cosy atmosphere completed by a roaring fire in the colder months. Close enough to the High Corner Inn for a two-pub crawl! Has it’s own campsite next door, so it’s only a short stagger away……Acclaimed food and drink and a real gem to discover. Once a Royal Hunting Lodge, the Royal Oak is a delightful 17th Century Inn, near Fordingbridge, In the heart of the New Forest. The Royal Oak sits in the picturesque village of North Gorley, amongst its grazing donkeys and ponies, opposite the villages duck pond. It is renowned by locals and visitors alike, for serving high quality, classic pub food, a wonderful array of cask ales and a warm hospitality. The Royal Oak is very family and dog friendly and boasts many outstanding facilities, such as a beautiful beer garden, enclosed children’s play area, a cosy coffee lounge with leather sofas and log burning stoves and its own ‘Forest Flavours’ contemporary restaurant. With direct access to fantastic forest walks and cycle routes! Beautifully presented establishment with history, situated perfectly on our Old Railway cycle route. Also one of our favourite destinations for anything from a cuppa, to a cream tea or meal! Tucked away on the village green at Minstead, amongst a lovely forest setting. Great food and drink and with an impressive refurbishment, this is a welcoming destination. Travel Car Free to us at Burley on an open top Bus! The New Forest Tour Bus enables you to leave your car behind and visit Burley and enjoy the delights of the open air on the way. The bus runs hourly and you can catch it at a number of key locations en route. The new Blue route is running now, linking us with Holmsley Campsite, and Bashley, Shorefield and Naish Holiday Parks, so you can be completely car free if you are staying there! Both the Red and Blue routes stop right outside our door. Why not stay locally and get around car-free by Bus and Bike…. Nestled in woodland just on the edge of Burley village, an excellent forest pub with a huge menu and choice of beverages. Large family friendly garden and sumptuous accommodation.